What does you ask? Well the simple fact that for every human killed by a shark, humans kill over 2,000,000 sharks. The demonization and often complete lack of understanding of sharks makes it easy to dismiss the way they are treated – which is a tragedy on many levels, for sharks are some of the most amazing creatures on earth. For example, sharks were swimming in the earth’s oceans for 200 million years before the dinosaurs even came along – and in all those years, they really haven’t evolved much at all. That does mean, though, that they have some pretty incredible traits – such as, some species of sharks have seven rows of teeth and one row just falls in place when the shark loses a row of teeth. Sharks can go through 30,000 teeth in their lifetime. 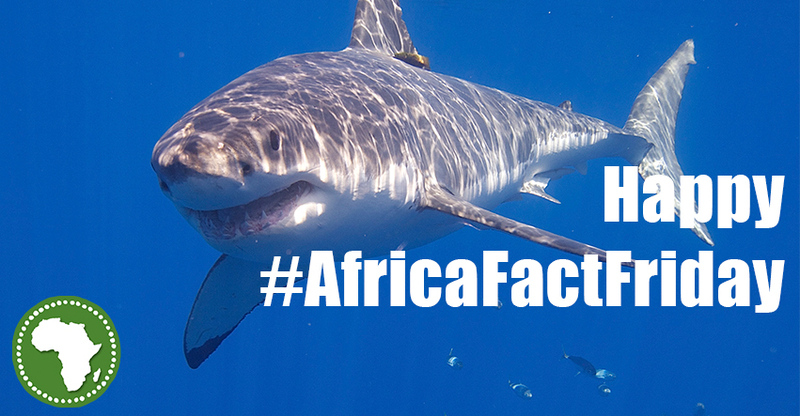 Now, one of the best places in the world to see sharks is in the cold clear waters off of South Africa. Diving with great whites is an an amazing, albeit, cold experience (don’t worry there are plenty of wet suits available) and the chance to see these incredible animals up close is a thrill. One of the leading experts in great white sharks will actually take you out to see them – it’s just a short drive down from Cape Town and next thing you know you’ll be on the high seas with Chris Fallows. Chris knows a lot more about sharks than we do – so he already knows that sharks don’t have a single bone in their bodies – it’s all cartilage. He also knows that of the more than 500 species of sharks, only four are considered dangerous to humans and, again, they are far less dangerous to us than we are to them. If you go out with Chris, you might ask him about this recently discovered fact that we find interesting – despite the fact that an equal number of men and women swim in the ocean, over 90% of shark attack victims are men. Visiting South Africa and seeing all the amazing sights that the country has to offer is a wonderful thing. Traveling there with Travel On The Good is even better – why? Book any trip to South Africa and let us know that sharks are your thing, and we’ll donate 10% of the total cost of your trip to a shark conservation project we support in Gansbaii, South Africa. Does that mean the trip costs you more? No not at all. We have a fully-staffed top-notch travel agency in Cape Town that will get you the best possible deals (just email us where you want to go and we”ll send you some ideas and some great prices.) It’s what happens next that makes us different – and we think better. Your typical travel agent will receive a 20-30% commission for booking your trip. And keep it. We take the same commission and donate a large portion of it to a non-profit in the part of Africa where you’re visiting. You pay the same – or less. The hotel, resort or safari camp where you are staying receives the same amount they usually would. We operate a little leaner, but not meaner, and we donate 10% of the trip or 1/3rd of the commission because we think a bit more of your hard-earned travel dollars should stay on the ground in Africa and not go in travel agent’s pockets. Now, if you’re into sharks, like really into sharks and an hour in the cage just won’t do it. Here’s some great news. Our friends at African Impact have an amazing volunteer project that you can go on in Gansbaii – and work with the same group that we donate to. There are more details here African Impact is the best volunteer company in Africa and if you love sharks, this is the trip for you. You might even get the chance to see two sharks courting. The male shark will bite the female shark to get her attention. No wonder they go through 30,000 teeth!